Redbox is an entertainment company that has revolutionized the way movies are rented. Originally developed in 2002, Redbox has basically taken the movies rental industry by storm by making it extremely easy to rent movies and video games at a reasonable cost. 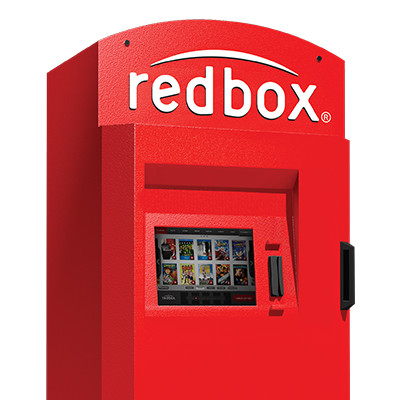 With over 38,000 red cubicle structures (also known as kiosks) spread across major U.S cities, Redbox has no doubt become one of the most popular video rental options. The Redbox kiosks work more or else like vending machines for movies. In these kiosks, you can easily purchase the movie or game that you want, check it out, and return it by 9.00pm the following day when you’re done. To avoid the fees incurred as a result of late return, be sure to return it on time. The machines are generally easy to use and widely available, and the movies and games are cheap to rent. You can even use redbox codes to get a free one night rental or discounted rental. Redbox kiosks are convenient and strategically situated- you can find them in retail stores, groceries, and various convenience stores across the U.S.
First things first, search for the nearby Redbox locations online. Go to Redbox’s official website, Redbox.com and click “browse a location” at the top of the home page. In the Search Location menu, input your Address or zip code. A list of the Redbox kiosks near you will appear. To rent a DVD, press the “Rent a DVD” button. A screen showing various movie categories will appear. Now, select the movie or game you want to rent. Upon selection, a screen with information about the movie will appear. If you’re satisfied, then press “Add to Cart”. If you want to rent more than one movie, return to the movie list and select more. Now that you’ve added the movie/movies/games to the cart, press “Check Out.” Then you’ll be asked to swipe your credit card right on the card swipe to pay for your selected movie. You’ll be asked to enter your zip code and email. A receipt will be sent to the email you’ve provided. As soon as you’re done, press “Enter” and the DVD/s you’ve purchased will pop out from the slot. Remember to return the movies before 9.00pm the following day to avoid late fees. Redbox’s online rental services make it easy for you to choose movies or video games right at the comfort of your home. All you have to do is go to their website, which is Redbox.com, check out the available movies, and reserve them for pickup. On Redbox’s homepage, click “Movies” to see which movies are available. Search according to the rating, genre, or DVD/Blu-ray options. To reserve the movie for pickup, click “Hold for Pickup DVD or “Hold for Pickup Blu-ray”- both options will appear. Click the suitable option. Input location information when asked to. A list of Redbox kiosks will appear near the movie title you’ve selected. Then, click “Hold for Pickup” next to your convenient location. You can then go on to your local Redbox kiosk, make the payments, and collect your movie. A Redbox DVD will cost you $1.50, a Blu-ray for $2.00, and video games for $3.00. In case you return the movie/game late, your credit card will be charged another’s day fee. Check out the pros and cons of Redbox. • Cheap Rentals- One notable thing about Redbox is that it provides cheap entertainment. It’s not easy to beat the $1.50 or $2.00 or $3.00 movie and games rental fees. • Fast Service – The process of renting a movie or video game in Redbox is quick and simple. All you have to do is go to your nearest kiosk, select your choice, pay, and you’re good to go. • Easy and convenient returning of movies – The beauty of Redbox is that you can easily return your rental movie in any kiosk in town. You can rent a DVD from one kiosk and return it to the other- pretty convenient, right? • Ability to Obtain New Releases- Upon the arrival of a new movie or game, you can simply purchase it on Redbox. This means that you don’t have to wait for it to arrive at your local movie store. • Free rental off coupon codes. • Costly late fees – you might end up paying more late fee than the actual cost of a movie. • Pressure to Choose a Movie – Its pretty inconveniencing when trying to rent a movie, only for someone to queue right behind you. You’ll feel pressure to select a movie fast to give them their chance. You might end up not browsing all the available movies. • It has lead to the closure of video stores – Many video stores have closed shop as many clients now prefer going to Redbox kiosks. If you love going to the video stores, this can be inconveniencing for you. So, there you have it, everything you’ve ever needed to know about Redbox. Weigh the pros and cons and make an informed decision when selecting a movie or video game. Overall, renting movies and games on Redbox is convenient, not to mention cheap and affordable. Hulu is the new Netflix. As an ad-supported streaming device, it offers its users the chance to catch up on their favorite TV shows, recent movie releases, and brand new TV shows that are exclusive to Hulu, as part of the Hulu Originals. With connection to the internet, Hulu subscribers can gain access to their favorite shows from popular channels such as ABC, CW, Fox and NBC. As part of the Hulu experience, the subscribers can gain access to brand new episodes of their shows just one day after they have aired, which is something unique to Hulu. Some competitor streaming services do not provide all of the seasons of each show and delete the shows from their service whenever they like, which can be quite frustrating – this is something that you can avoid with Hulu, as they have the most TV content out of all the streaming services, with back catalogues of shows that you can watch to your heart’s content. 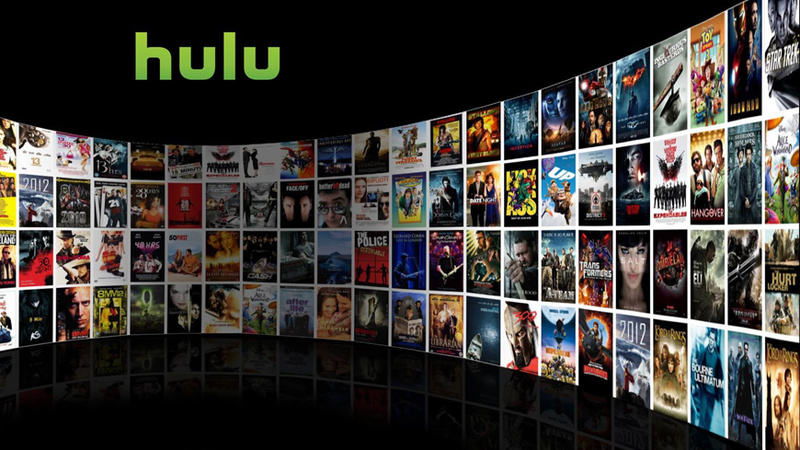 Once you have subscribed to Hulu, with either the limited advertisements package or the free-from advertisements package, you can access the service through many different devices. As it is an internet connection based service, you can view your favorite movies and TV shows through multiple devices, such as your game console, smart TV, laptop, smartphone or tablet. Once you go onto the Hulu website, you will be offered a free one-week trial to see if the service meets your need. You are able to choose from two different packages; one that has limited adverts and is therefore cheaper, and one that has no adverts and is therefore more expensive. Each subscription is on a per month basis. Once you have begun your free trial, your subscription will automatically become a paid subscription, so remember that if you do not wish to continue to that stage, you will have to cancel your subscription on the last day of the free week trial. When your subscription is set up, you will have a login and password. Next you will need a device to play it on. As mentioned above, you can use your laptop or computer by simply using an internet connection and visiting the Hulu website, where you can watch shows and movies straight on the browser. Alternatively, you can use an internet-enabled device, but make sure that it supports the Hulu app. There, you can login with your details and begin to stream your favorite TV shows and movies. · Hulu provides the service to watch the shows you missed just last night through many of the most popular American channels – something that no other streaming service provides. · Hulu subscriptions offer more content than most other streaming services, with thousands of episodes available at any time. · Benefit from improved visuals with your subscription, as content is streamed in 720p HD. · Easy use and navigation, even when using the app on your smartphone. · You can watch several Hulu Original TV shows that are not available anywhere else. · Commercials can somewhat ruin the experience, especially if you are used to commercial free streaming sites such as Netflix or Now TV. · Sports or news channels are not available through the service. · There are less movies to browse from in comparison to major competitors. · Some content is web-only, meaning it cannot be played through other devices. As a joint venture between many large media networks, Hulu has the power to accomplish great things in the video streaming service industry. With the addition of the Hulu Originals, this service has some originality that other competitors do not have, however it has been argued that the general quality of the Hulu Original shows does not compare to Netflix Original shows. The main benefit of using Hulu is the quick and reliable TV show service – no other streaming service allows you to catch up on your favorite shows just one day after they have originally aired. As well as their extensive collection of TV shows and episodes, you know that there is always going to be something to watch. If you are a TV lover, then Hulu may be the best service for you. Netflix 101 will teach you everything you need to know about the program. At that point you will be able to decide whether you enjoy the service or if you think the service is not for you. The first question you may be asking yourself is “What is Netflix?” Quite simply, Netflix is a streaming service that offers TV shows, movies, documentaries, and unique content in the form of videos. A person signs up for a monthly fee of $8.99 or $7.99 if they you were a member before 2014. From that point the member pays the fee each month for constantly new updates on all the previously mentioned programming. One of the absolutely great things about Netflix is that it learns your favorite shows and then recommends shows that are similar to those. You are given the option of rating every show by giving it a star rating between one and five, but in order for you to get recommendations you do not have to rate your shows. For example you could love watching the TV show “family guy.” The system would see this and create its own category that would be something along the lines of “because you watched family guy” or “TV shows that you might like.” This is great because it allows you to find movies that you actually enjoy. What is even better is that it makes sure you are not wasting time sifting through shows and movies that do not match your interests. Netflix has virtually ever type of movie and show. There are shows that are in black and white, and then there are the shows that were just in theaters. This allows Netflix to appeal to everyone. If you are young or old Netflix will not disappoint you. This is also very helpful if you are trying to pick a movie with people of various age groups. Everyone gets to find something that appeals to them, which prevents feelings of anger and frustration. The yearly price for Netflix is roughly $108 dollars. That is extremely fair considering the fact you pay nearly 10% of that every time you go see a movie in the theater or order something from pay-per view. If you went to see 10 movies in 12 months then you would be spending the equivalent of your entire yearly Netflix bill. 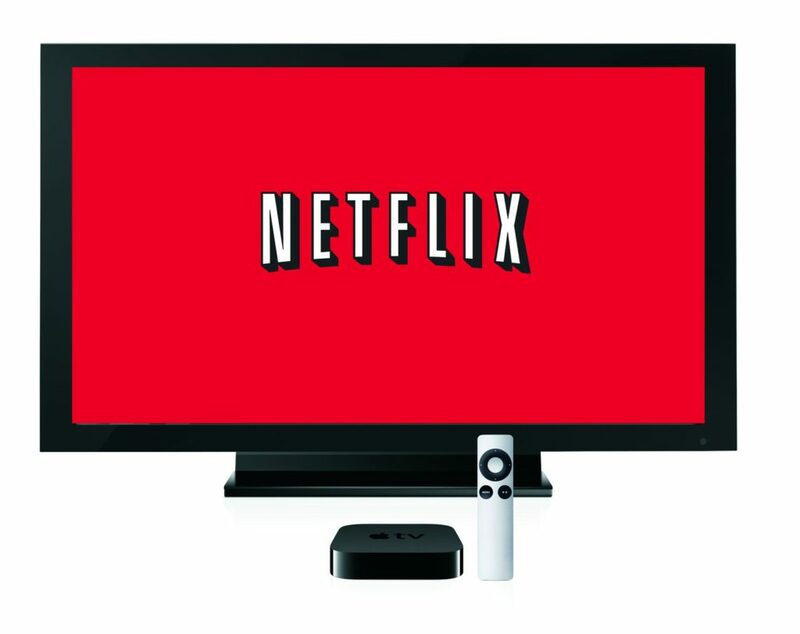 On Netflix you watch unlimited shows for $108 dollars. That means you could watch 1,000 movies, 1,000 TV shows, and 1,000 documentaries in a year and only pay $108 dollars. What makes this even better is the fact that Netflix has apps that are on smart TV’s, iPhone’s, and computers. This means you can watch Netflix anywhere you desire. All you do is download the app, sign in, and start watching your show. This is the really frustrating part about Netflix. Because it is a streaming service you have to rely on the internet to watch your shows. There is no way to download the shows you want to watch in advance. If you are stuck in a place that does not offer WiFi then Netflix is useless. What is even more frustrating is having bad WiFi or internet access. When you have bad connection because of bad WiFi or bad internet two things can happen. The first is the quality of the show you are trying to watch decreases, which leaves you looking at something in 240-480 resolution when it should be 1080p (HD). The other situation is the buffering and stopping of your show. This is very frustrating because you can be at the climax of your show and then have the show stop to buffer. This is the statement you make when your content all of a sudden disappears, which causes you to be unable to watch the show that was on the program recently. Every time new content is put on Netflix some of the old content is removed. This can be extremely frustrating because all of a sudden a show that was on Netflix for months could be removed. For example your favorite movie is “Titanic.” You watch this show for months and then one day you log in and do not see it anymore. That would be because the new content was put in the system and it superseded that movie. At this point you have been taken through Netflix 101. You know the positive aspects of Netflix and the negative aspects of Netflix. Some people love the service and choose to pay the money each month, while others hate the service and would never pay the money for the service. In the end it all boils down to personal preference. Will you pay the monthly fee, watch tons of free shows, be willing to lose some shows every once in a while, be okay with buffering, and be okay with not being able to watch Netflix at certain points? That is the question you need to ask yourself. Of course if you have a good internet connection than most of the bad things will disappear. For example i have a 250MB high speed internet service and have no issues at all.